I love anything with ladybugs, so when I find cute paper, I have to get it. 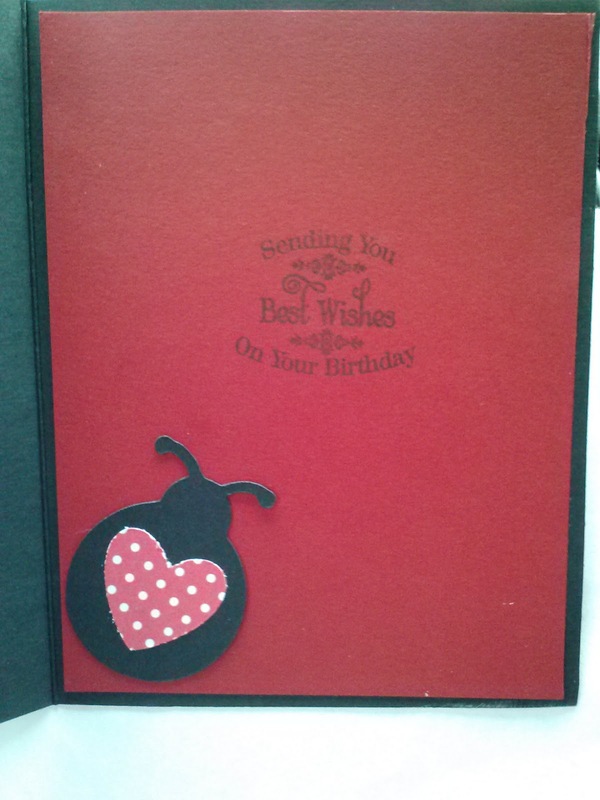 I made a birthday card using my latest find, inspired by a sketch from Seize the Birthday. 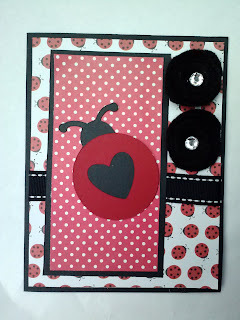 The ladybug is from the Paisley cartridge and I used felt for the rolled flowers. I added gems and ribbon to finish off the card. 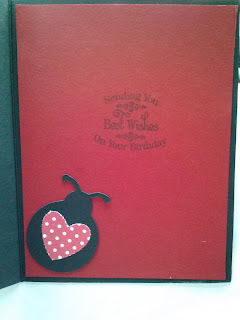 Inside the card I added another ladybug and birthday sentiment. 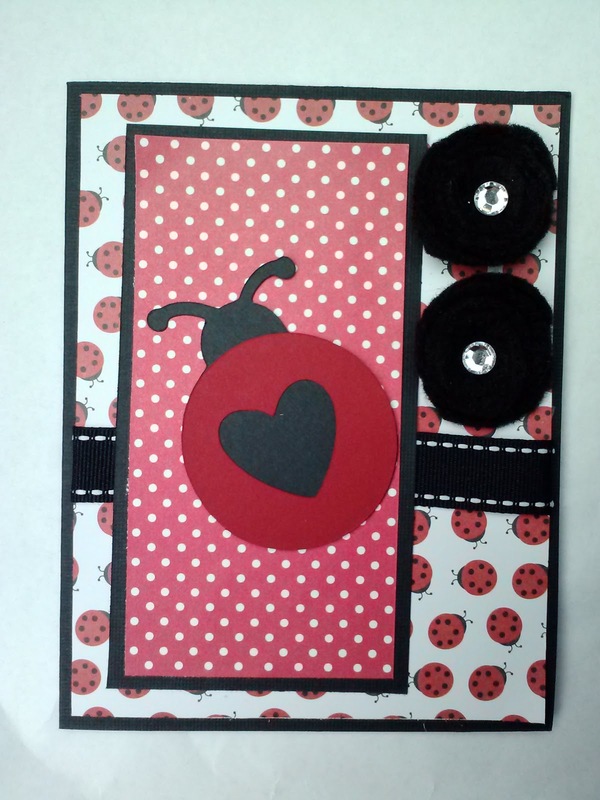 Who doesn't love a lady bug - love the little cut out heart too! Thanks so much for joining us this week at the Pile it On Challenge. Sweet card! Love the felt flowers! So glad you shared at Cupcake Inspirations! Hope you'll join us again for our next challenge! This is absolutely adorable. I really like the whimsy of your ladybugs. Thanks for joining in the 3 Girl JAM "Anything Goes with Ribbon" challenge. Super cool! 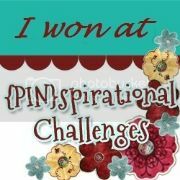 Thank you so much for sharing your incredible inspiration with us at 4 Crafty Chicks. Have an amazing week! love it!! your rolled flowers with felt are awesome :-) Thanks for joining us at 3 Girl JAM challenges this week!